At the start of every financial year, it’s important to review your confidential documents and decide which need to be destroyed securely. This is especially relevant this year, as we all gear up to the implementation of the General Data Protection Regulation on May 25. See more about that here. It’s best to carry out this review BEFORE you start the office Spring clean. In the middle of a major clear out, confidential and non-confidential documents can become mixed up. Old staff records– Staff may have moved on several years ago, yet their records may be retained for legal or contractual reasons. It’s recommended that details are held for five years and HMRC may ask to see a past employee’s financial details up to three years after they leave. Once those reasons no longer apply, it’s time to dispose of the records responsibly. They contain information which may be useful to identity thieves such as names, phone numbers, addresses, National Insurance numbers, and bank account details. They often contain details of next of kin, too. Customer details– This may be letters from or to customers, copies of old orders or receipts, or refunds. Often, they will contain names, addresses, and phone numbers, and some may contain banking details. All this data could cause your business major problems if it falls into the wrong hands. Supplier information– From order forms and receipts to letters, you may be holding onto documents with a great deal of information about your suppliers. This must be processed carefully. Your business plans– You may have old versions of your plans which contain confidential projections, details of your cashflow and revenue, and details about people who have significant control in your company. They would prove useful to competitors and identity thieves alike. Headed notepaper or business cards – Branded items like this could be used in frauds or to poach your clients. They need to be destroyed securely. 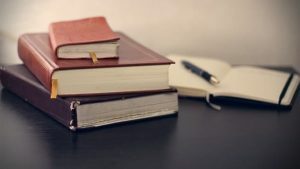 Old diaries and meeting notes – Diaries often contain names, phone numbers, and details of appointments, and meeting notes can contain details of business plans, disciplinary matters, or confidential information about employees. It’s time to look at an affordable, secure confidential shredding service which will free up the time of your staff, save you money, and ensure you have an audit trail to comply with the coming data protection legislation. Are you looking for an affordable and secure shredding service in South Wales? If you need advice on dealing with the secure destruction of confidential waste, call our friendly and efficient team on 02920 676 714, or email enquiries@taclusconfidential.co.uk.